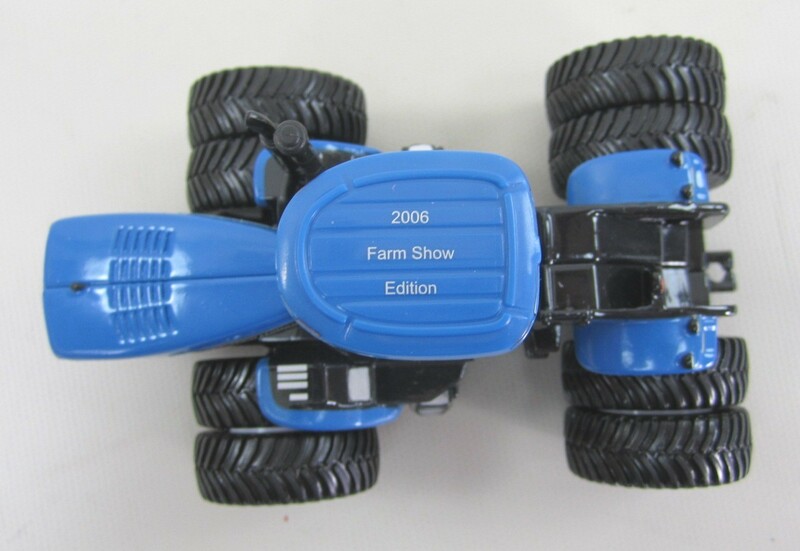 This Page will include Semi truck models of Ford and New Holland. 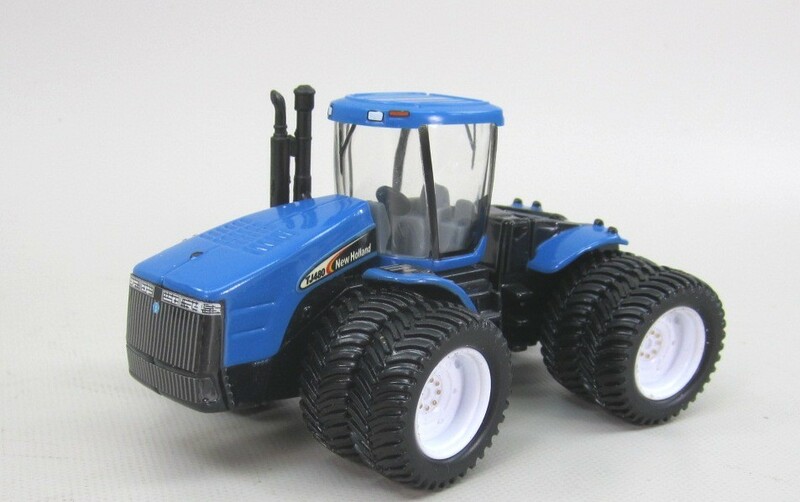 They will include tractors and implements made by Ertl, and Spec Cast. All are 1/64 scale and New in Box unless noted. 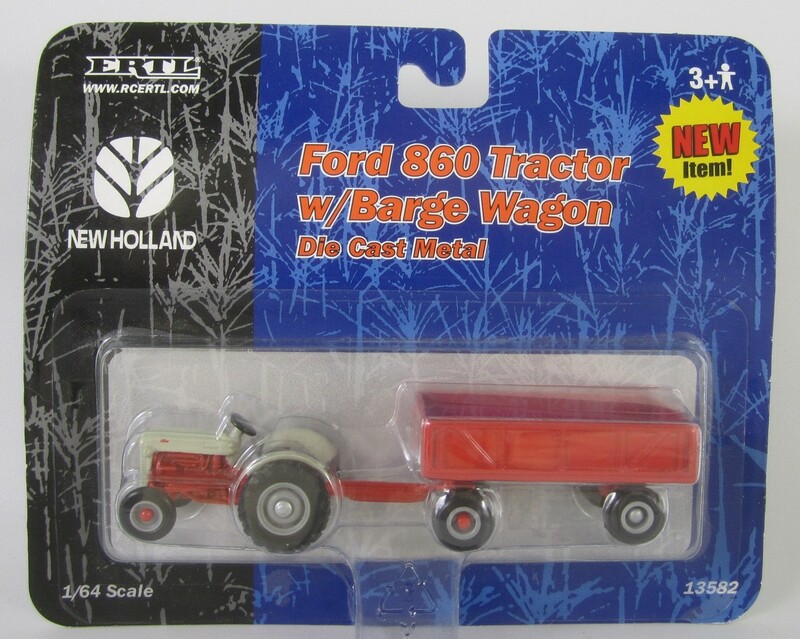 Ertl Stk # 13582 Ford 860 Tractor with Barge Wagon set in 1/64 scale die-cast. 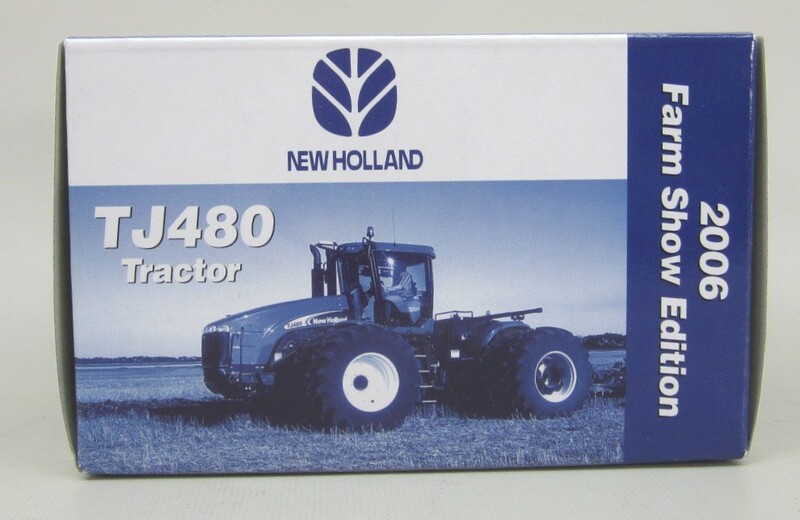 Tractor & trailer Measures 4 3/4 inches long. New in Package, Never Opened. 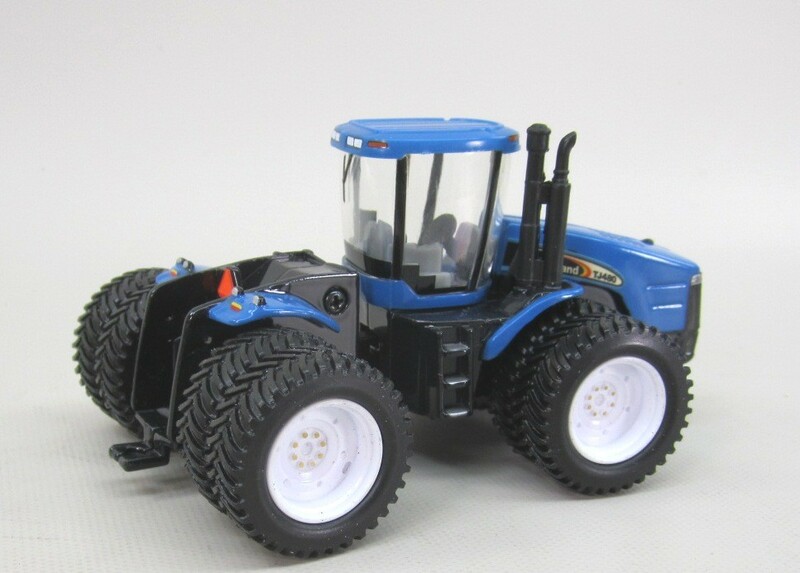 Ertl Stk # 16150A New Holland TJ480 Tractor in 1/64 scale die-cast. 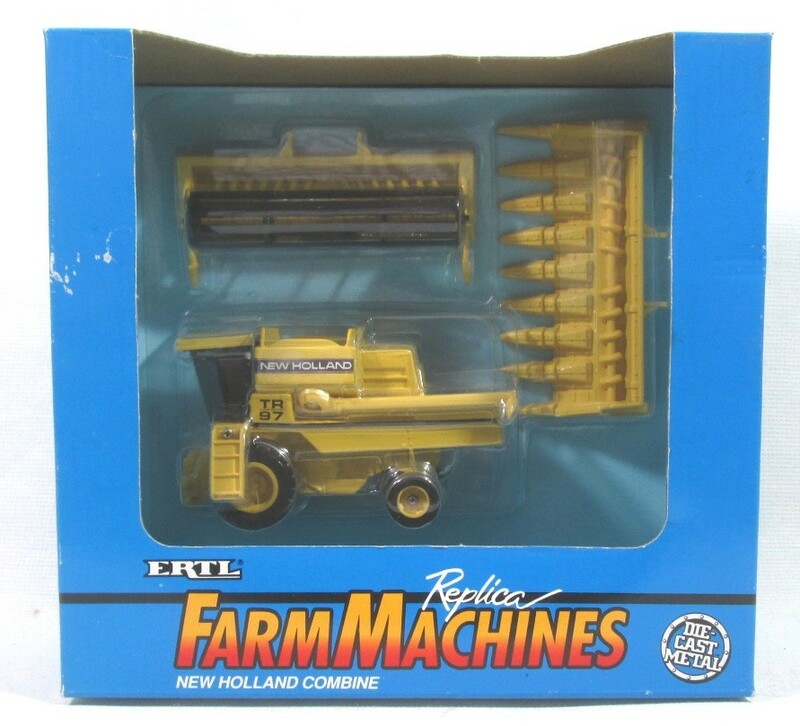 Ertl Stk # 815, New Holland TR-97 Combine in 1/64 scale die-cast. 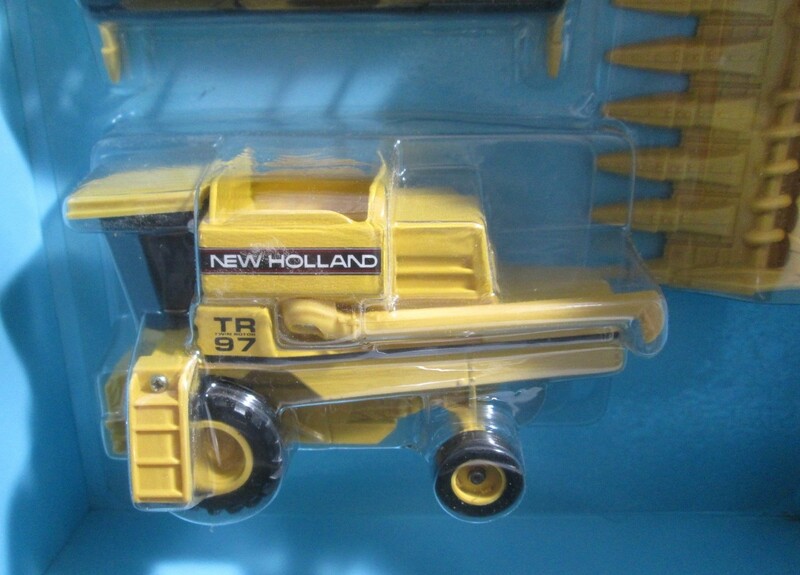 Comes with Corn and the grain heads.